"The new HandWired VOX is in a different league. There’s palpably more headroom, touch sensitivity and dynamics: all of the things that classic minded ‘feel’ players get misty eyed about. Like kids watching fireworks, there are uncontrollable oohs and ahhs from the amp buffs as you open the rear panel. Beautiful livery on the outside, and meticulous hand-wiring on the inside. ....these are the best sounding post-sixties AC15s and AC30s amps yet." The AC30HWH head features point to point hand wired construction throughout. There are no copper circuit traces interconnecting electrical components. Please view the chassis picture at left to view the meticulous and tidy construction techniques used in manufacturing this amplifier. 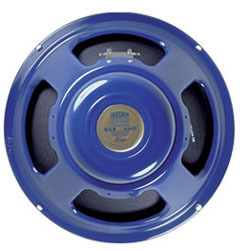 The chassis for the AC30HWH-V64 features two channels. Channel one is the "Normal" channel, and has two inputs and a "Bright" switch. Channel two is the "Top Boost" channel and has dual inputs, volume, treble, and bass controls, and a "Hot/Cool" switch. Using the "Hot" position on this switch increases the gain of the amp. This gain boost may also be remotely actuated using the single button VFS-1 foot switch, an included accessory with the amplifier. This amp does not have tremolo or reverb. The custom hand-built 13 ply baltic birch "V64" amp head cabinet by North Coast Music features half lap lock joints, the baffle bolted in place with six machine screws secured by nuts and lock washers (just like JMI did), gold piping in the sides of the cabinet, basket weave vinyl, and genuine brown Vox diamond grill cloth. 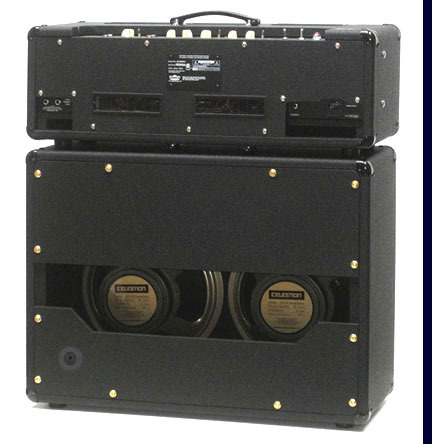 This AC-30 speaker cabinet, manufactured by North Coast Music under license to Vox, UK, are available with either Celestion Green back or Alnico Blue speaers. The cabinets are constructed from 3/4" 13 ply baltic birch plywood with gussetted locking half lap joints and bolted baffles. They are covered in black basket weave vinyl and brown Vox diamond fretcloth. One pin corners, and a single NCM-074 handle are also included. 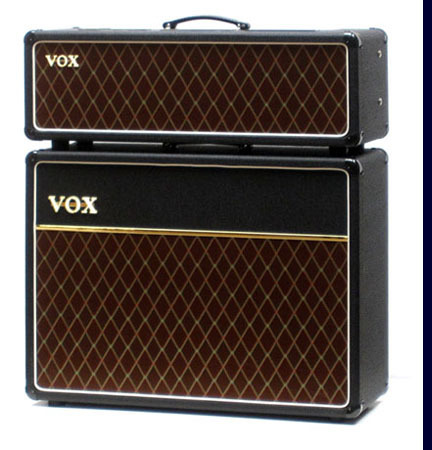 Why buy your new Vox AC30HWH-V64 Amplifier from North Coast Music? Have you heard about shipping horror stories from other stores? We overpack every AC30HW2 ampliifier prior to shipment over and above the manufacturer's packaging. Every AC30HWH-V64 bench tested and burned in for twenty four hours prior to shipment to help eliminate potential "infant mortalities." Specifically, this test is performed in six stages, each four hours long, to further simulate real world usage.